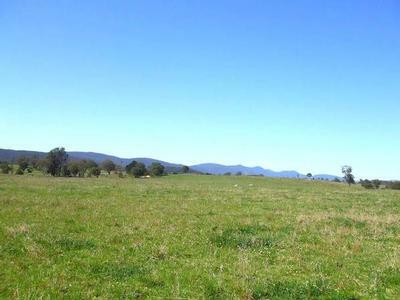 This magnificently presented 236 acre property on 3 titles is located just 13kms South East of Tenterfield. The property is well subdivided in to 9 paddocks , with most fences electrified on undulating blue granite country. This property is 95% pasture improved and has a 30 year super history. With a carrying capacity of 70 breeders, the water source comes from 13 dams in various locations on the property. There are several improvements that come with the property which include a large 7 Bay Steel Machinery Shed(32m x 12m x 4.5m), Lockup Steel Workshop(15m x 8m x 3.6m), Timber Hayshed(18m x 8.5m x 4.5m), Timber Storage Shed(8.5m x 7.6m x 3.6m), Steel cattle Yards with vet crush, scales, branding cradle, 5000 gallon molasses tank with pump and a newly built 4 bedroom brick home. Immaculately finished, this home is spacious with open plan living and dining rooms, a well designed kitchen with granite benches and stainless steel appliances, combustion heater and reverse cycle air conditioning. 3 bedrooms include built ins, with the main featuring a walk in robe with ensuite. There is a separate outdoor entertainment area with bar and a 25000 gallon rainwater tank connected to the home. With 360 degree picturesque views this is the ideal property you have been looking for with nothing else to be done but enjoy.